Does Fat Loss Become Harder as Your Body Fat Percentage Gets Lower? Question: Is there a difference between going from overweight or obese to normal weight, and going from normal weight to single digit body fat? 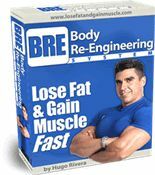 How about going from upper single digit body fat to contest shape? In other words, does fat loss become harder as your body fat percentage gets lower? Answer: Fat loss definitely becomes more challenging as your body fat percentage gets lower. In a nutshell, the lower your body fat percentage, the more precise and strict your bodybuilding diet needs to be. Case #1 – Going from obese to normal weight: This is the easiest transformation by far. 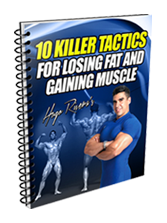 In this case, it is very easy for the body to start dropping body fat since there is so much of it that once any sort of diet starts, the body responds by burning the excess fat. At this level, any sort of diet that provides some sort of caloric restriction will drop weight. 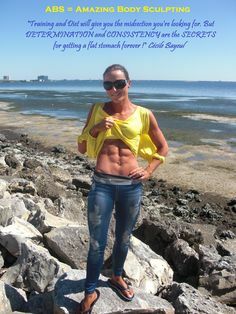 However, since we are interested in just losing fat weight while preserving or gaining lean muscle, the best results happen when a sound program consisting of multiple meals (5-6) spread out every three hours and consisting of complex, low glycemic carbohydrates (like brown rice, oatmeal, yams), vegetables (broccoli, green beans), lean proteins (like chicken, tuna, turkey, egg whites), and good fats (like the ones found in salmon, olive oil, flax seed oil) is implemented. Take 1 serving of each of those nutrients that I just mentioned to make up each meal, drink plenty of water (0.66 times your body weight in ounces), weight train with weights 3 times a week (like Mon/Wed/Fri), do cardio the other 3 times (Tue, Thur, Sat) and voila, you will lose weight. Case #2 – Going from normal weight to single body fat: To do this, you still implement the same strategy as the one for case 1 but now you need to be a bit more precise. While you can get away with portion control by using the “eye method” if you belong to case #1, for case #2 you need a bit more precision so measuring your food intake with a scale and measuring cups is a must. In addition, more frequent weight training (4-5 times a week) and more frequent cardio (5-6 times a week for 30-45 minutes) will be needed. In terms of nutrient intake, one needs to pay closer attention to the types of carbohydrates consumed, and depending on how carbohydrate sensitive the person is, the last meal may or may not have any starchy carbs. In addition, it is of utmost importance that except for EFAs, all other fats be minimized. Case #3 – Going from upper single digit body fat to contest ready: This case is really what separates the men from the boys and the women from the girls. Except in the exceptional case of those with great genetics, most of us who wish to get contest ready will need to restrict carbohydrates significantly and also practice carbohydrate cycling (having 3 days of low carb followed by 1 day of higher carbs). Precision of nutrient intake is imperative in this case and more frequent training will be needed. Weight training routines that go 3 days on, one day off or 4 days on, one day off work best. In addition, some aerobics for most of us will be necessary. Missing meals as well as not measuring your food are not options and you will also have to restrict any sort of artificial sweetener as well as watch your sodium. Water intake also needs to be in 1-2 gallons per day. Getting into contest ready condition is no walk in the park and will require the most Spartan discipline to get through it. 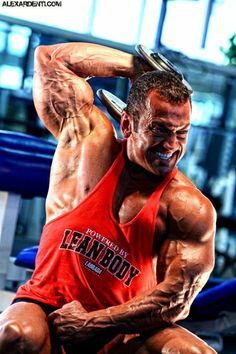 The nutrition required may be considered extreme by some people but that is what it will take to achieve this level of leanness. Also, the use of supplements like glutamine, creatine, fish oils, extra vitamin c, and a great multiple vitamin formula are a must. Also, I should add that I have never been able to get through a contest prep without some extra caffeine to help me get through the day as contest prep dieting is extreme! 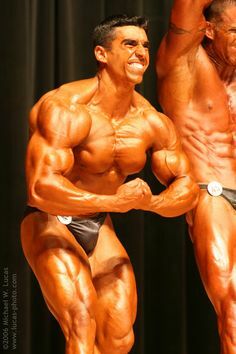 In a nutshell, I always say that the more extreme you want to look, the more extreme your bodybuilding lifestyle will need to become. Leave a Comment with Facebook for Does Fat Loss Become Harder as Your Body Fat Percentage Gets Lower?